This article was written while Flinders University was under construction in 2015-2016. There are many more options now. It strikes you within moments of arriving at the Flinders Medical Centre. A curious sensation, new yet familiar, fresh and unexpected yet discernibly déjà vu. You've driven a friend/family member to the hospital, and for a moment you were sustained by the anxiety of getting to an outpatient/other appointment on time; this anxiety amplified by the fear of having an accident as you squeezed and shuffled your car into an uncomfortably snug park in a rapid filling car park. Upon entering the hospital, having taken a wrong turn several wrong turns back you trekked your way through a labyrinth of passages until, against all odds, you've ended up in a small waiting room with well thumbed magazines. You quickly assess your options. You're acutely aware of the Temple to Consumerism down the road calling to you like the sirens called Odysseus, but you're loath to give up the difficult to get parking space, especially with no guarantee that you'll be able to find another one. In addition, it's difficult to predict how long you'll be waiting. This article aims to help the specific ache that accompanies this particular situation. 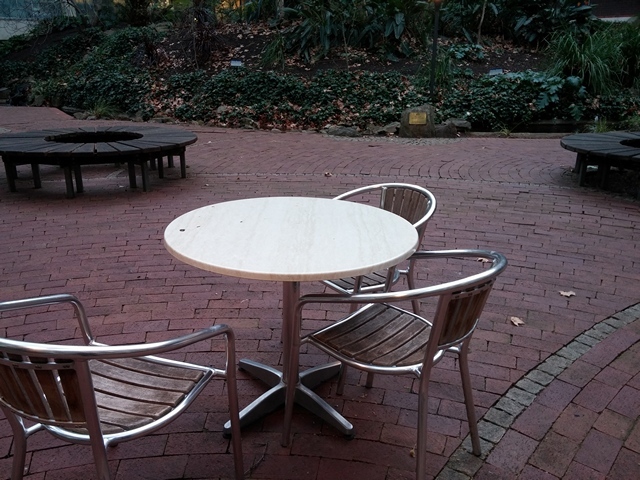 Unlike the Royal Adelaide Hospital where a profusion of restaurants, cafes and food courts lie only a short walk from the entrance (perhaps less so with the new Royal Adelaide Hospital), options for a quick bite around Flinders Medical Centre are somewhat more limited. Within the Hospital is the Coffee Shop on level 2, which is difficult to miss after ascending the steps from the main entrance. It serves the usual school tuck shop style fare, with pies, sausage rolls and pasties in a warmer and a variety of small cakes/sandwiches/salads in a refrigerated display at the front. BLTs, custom sandwiches and hot dogs are available on order, as well as a small selection of cold rice paper rolls. Hot drinks are available. On the opposite side of the hospital near the Emergency Department is the Cafe Bar, which serves a near identical selection of food to its larger cousin. It usually closes around 4pm. 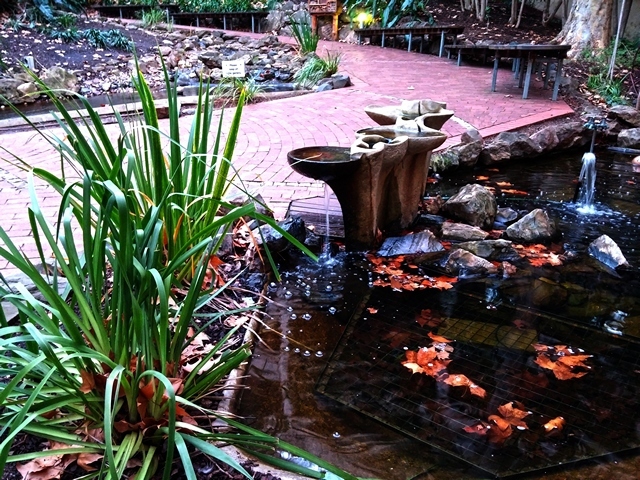 Head further in on level 2 from the Main Entrance past the Coffee Shop adjecent to the Koala Lifts and you will encounter the courtyard, which is a pleasant open space with multiple water features, shaded areas with trees and shrubs and places to sit for a break/snack. Here, the volunteer service runs Yiros lunches on Monday (until 1:30 pm), Barbecue lunches on Wednesday (10:30 am to 1:30 pm) and Breakfast Bacon and Eggs on Friday (7am to 11am). Spotz Cafe is situated on level 4 and serves much of the food one would expect from a Hospital Cafe, with a daily menu kept heated and sandwiches available. Just outside the hospital on the North side is Theo's Coffee Lounge with a variety of hot food and sandwich options, and across the road from there at the bottom of the new Flinders Centre for Innovation in Cancer is the T Bar, which, as its name suggests, serves a variety of tea but also hot food and coffee from a surprisingly extensive menu. On the ground floor of the Flinders Private Hospital is a Hudsons Coffee running a brisk trade throughout the day. Escape from the clinical confines of the hospital to the fresh(er) air outside. Here, two options are available in that you can either choose to walk West or East. Cross Flinders Drive and you will encounter three small restaurants of note: Kwik Stix serving "fresh asian tastes," the Japanese restaurant Maru, Greek Olive serving Greek cuisine and the acclaimed Mexican/Latin American restaurant Lucky Lupitas. Unfortunately expansion of the North-South corridor under the Southern Expressway plan will result in demolition of some of these buildings, with Lupitas to relocate, so get there quickly. Take the Lizard Lifts to level 5 and proceed to your left in the direction of lecture theatres 1,2 and 3. Before getting to lecture theatre 1, exit right and you will come to a series of steps leading to a tunnel. Walk east and hike upwards for 10-15 minutes to Flinders University. 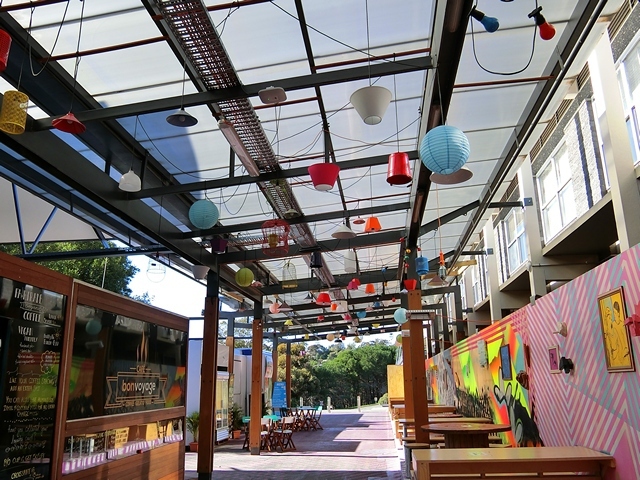 While there are a few food options here, most of the food options are concentrated at Flinders Laneway as ongoing construction has closed several popular food outlets. 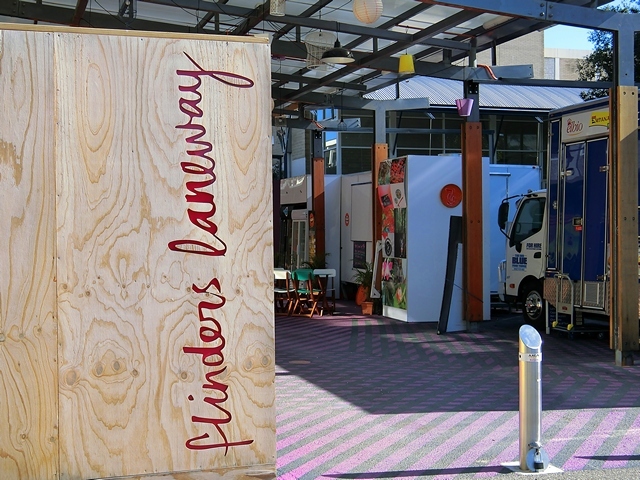 Flinders Laneway is an interesting lane with several food trucks providing fresh, varied options. Colourful food trucks line one side; on the other are some limited seating options against an eclectic collection of artwork. Lamps are suspended from above. 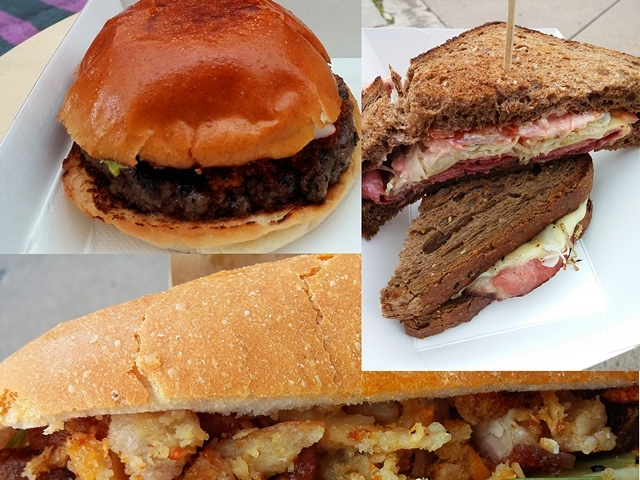 Notable food vendors include Burger Theory (Founded by two Flinders University postgraduate students in the sociology department), Toly Vietnamese Street Food, Cafe Bon Voyage, Myrtle and May and The New York Deli. 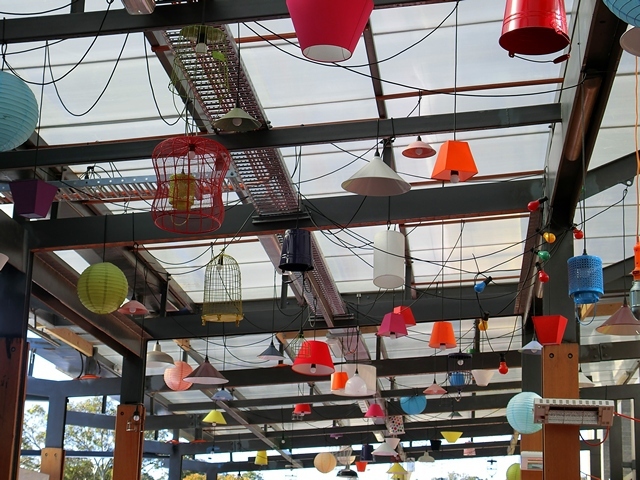 Another photograph of the lamps! If you're hungry and have got some time to pass at the Flinders Medical Centre, either grab a quick meal at the cafes in the hospital or head out for a delicious snack within a 15 minute walk! Why? If you're at the Flinders Medical Centre and Hungry! Cost: As much as you want to pay for lunch! Very thoroughly covered Edmund, I didn't realise that there was such a range. A great summary, well done.